Katy Farber is the mother of two happy little girls, ages 4 and 6. 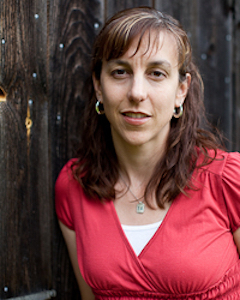 She is a teacher, author, and blogger from the mountains of Vermont. Her first book was published by Corwin Press in 2010, called Why Great Teachers Quit and What We Might Do to Stop the Exodus. Her second book, also released in 2010, is called Change the World with Service Learning: How to Organize, Lead and Assess Service Learning Projects. She also writes the popular green parenting blog, Non-Toxic Kids, which features parenting news; information about how to raise kids naturally; book, music, and eco-friendly product reviews; environmental issues; and opportunities for activism. Just released last week was Katy’s new ebook, Eat Non-Toxic: a manual for busy parents. It’s packed with practical advice and resources for how to avoid toxins in food and feeding gear.